Superman #5’s remorseless Zod hits home, and in such an impactful way it changes everything. 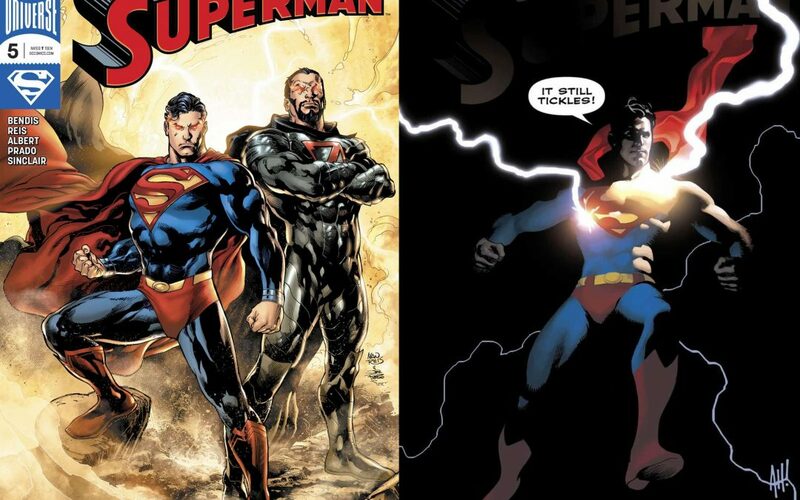 Superman #5 is all about the entrance of Zod! 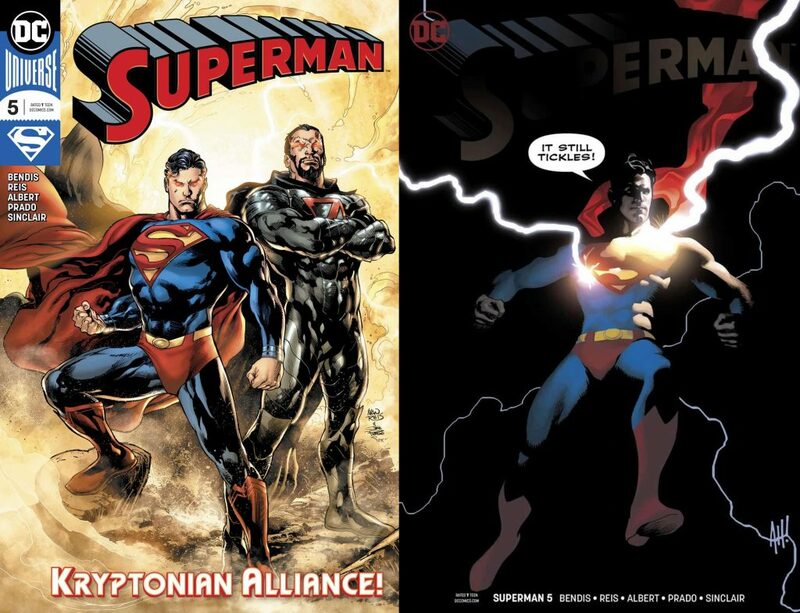 The following article may contain *****Spoilers from The Man Of Steel – Superman #1 – Superman #5. Whether in Richard Donner’s Superman II cinematic cut, Zack Snyder’s Man of Steel, or the decades of comic book takes and Superman canon, the infamous name of Zod rings bold and loudly. Zod the once-celebrated general of Krypton, Zod whose failed coup banished him from the planet he cared so zealously for to the Phantom Zone, Zod whose warrior-like philosophy oft crossed into barbaric territory, while remaining an extremely intelligent leader who inspired the adoption of his maniacal methods. Superman #5 offers up a conflicted and unpredictable Zod. 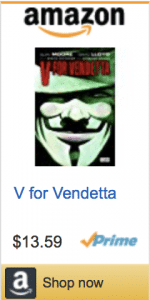 As in many great stories, a good villain is a character with growth, in his past, present, and future. The same holds true for Zod as he enters the Rogul Zaar fray. In Superman #5: The Unity Saga Pt. 5, writer Brian Michael Bendis, penciler Ivan Reis, colorist Alex Sinclair, inkers Joe Prado and Oclair Albert, letterist Josh Reed, take a fascinating storyline with sensational visuals to deliver an epic twist that will have far reaching consequences for Superman. And the variant cover by Adam Hughes is simply fantastic and a new favorite of mine! The classic image of Supes taking the blasts of lightning across his chest and proclaiming: “It Still Tickles” against the black background is remarkable. This issue starts with a nightmare … Zod’s nightmare. It is actually a recurring vision of a unified Krypton reborn on Jakuul and the House of El set to ally with the House of Zod before an inky black invasion from the sky blasts Zod’s family to bloody bits. It ends with Rogul Zaar leering over a bruised and battered General Zod, while Superman lies unconscious or dead nearby. The General awakes, and he has a family. And then his son informs him that earth is missing. As we re-enter the Phantom Zone, Zaar and his army of miscreants have torn up superman’s costume and bloodied his mouth. This is eerily reminiscent of when Doomsday first started to take control during the colossal fight that would end in Supes and Clark Kent’s demise. 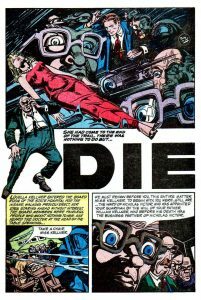 Rarely, do I remember Superman profusely bleeding, and never before Doomsday – please chime in here with comments, Eager Readers – especially in the first thirty or forty years or so of his history. And rarer still is Superman’s impenetrable skin damaged enough that cuts him and results in profuse bleeding. 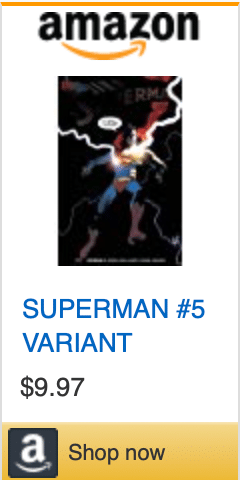 So, silly as it may sound, on page eight of this book I am extremely concerned for Superman. He is leaning on a rock to stay upright, as crimson trickles down his arm, his leg, and spouts from his mess of a mouth. Zod lands on the newly revitalized earth and forces Atom to use the Phantom Zone projector on him. General Zod has willingly banished himself back to the Phantom Zone, with little hope to return to his family, especially based on his visions. Zaar waits for the fleeing Superman to return. And Superman allows himself to become enraged and ready to kill. He knows he can destroy Zaar and the entire Phantom Zone if he really wants to. Ma and Pa Kent appear to him briefly, almost like Jor-El in the Fortress of Solitude, to give him advice. Here Bendis delivers a touching scene that tugs at the heart-strings. “If tests were easy . . .” says Ma Kent. “. . . They wouldn’t be tests,” says Pa Kent. Superman has achieved his goal: he sacrificed himself to save earth and in so doing forever imprisoned Zaar. 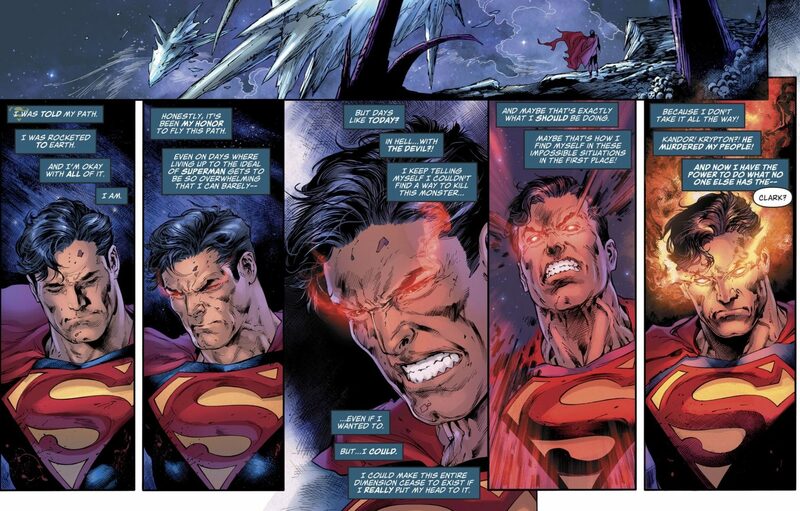 It will surely mean death, because Superman will not become enraged enough to kill Zaar, not even for revenge. Zod is still consumed by revenge and hate. The fight of the century just got even bigger and a new, unified Krypton may be at stake. “Superman #5’s Remorseless Zod Hits Home” was written by R.J. Huneke; pick up your copy now at your local comic shop, like Red Shirt Comics.